I put up this brief tips on "Reasons Why You need to Stop Taking Drugs and Alcohol". I notice that not only matured men and women but youth of these days now take drugs and alcohol as norm and things that makes them active or high. 1. 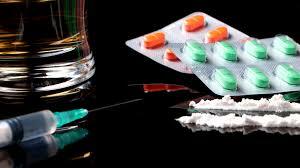 Law; one of the reasons you need to avoid taking drugs and alcohol either as a man or woman is that fact that the government strictly warned about it and for anyone that engages in it will be jailed. In order for you not be jailed, then you need to stop taking drugs and alcohol. 2. Health: This is the main reason why you need to stop taking drugs an alcohol for men or women is the fact that you need to save your liver and kidney. The liver is the only organ that digest drugs and alcohol, so if you overload your liver and kidney with drugs, then you are on the wrong path. 3. Addiction: I believe every addiction is a disease and its even worst when someone is addicted to drugs. If you get addicted to drugs, you are risking your life, working organs, blood cells and death. Its so bad to get addicted to drugs and alcohol because it affect the brain, and may cause a mental disorder. 5. Insomnia: Inability to sleep, sleeplessness, headache etc is a disease that is caused by excess consumption of drugs and alcohol. Drugs and alcohol affect the brain which leads to insomnia a disease of the brain and it causes depression and lack of sleep. Many people think the best way to proof a great guy, big boy, or want to feel among friend is to smoke, take drugs, sniff drugs and drink rum/vodka to become high but its very bad because the health do not permit that. So, we all need to shun violence, drugs and alcohol because you are liable to die young. Thanks for reading.